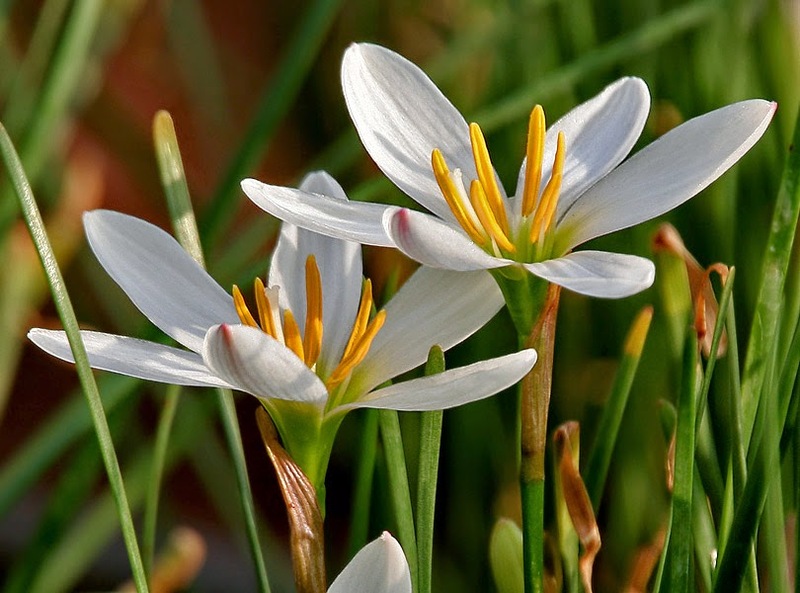 Bunga coklat or brown flower in english translation has latin name: Zephyranthes candida Herb. This herb has properties: Taste a bit sweet, fever. Chemical properties: This herb is rich chemical constituents, which have been known to include Lycorine, Tazettin, Haemanthidne, Nerinine. Plant part used: Leaves, seeds, stems and roots. Cultivation: Propagation of plants by using the bulb or seedling (can also seed). Maintenance is easy, it needs enough water by watering enough, keep moisture and fertilization, especially basal fertilizer. 10 grams of plant boiled, drinking. Epilepsy: 10 grams of added sugar cubes herbs, boiled, drinking. fresh leaves 10-15 gr. added sugar cubes, boiled, or Herba drinking and 10-15 grams of added salt, in the mash, to be attached to the temples.